Are you living in Germany? 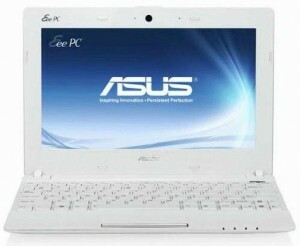 If yes then you may like to hear about a stylish Asus Eee PC X101H Netbook. It has already listed on Amazon.de website for Pre-order in Germany. This netbook is designed with a lot of impressive features and what is good thing for you is that it will come in a variety of colors so you are free to select your favorite color. It is supporting the fastest 1.66GHz Intel Atom N570 dual-core processor and just because of this processor you will be able to enjoy the blazing speed of multi-tasking. Clear and nice graphics are on hand because of an GMA 3150 integrated graphics. You will get 1GB of RAM, and 320GB hard drive that’s mean you have enough space for saving data files, music files, videos, etc. 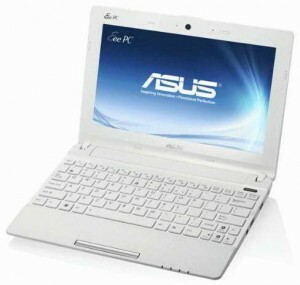 It is equipped with a 10.1-inch display that boosts the resolution of 1024 x 600 pixels. 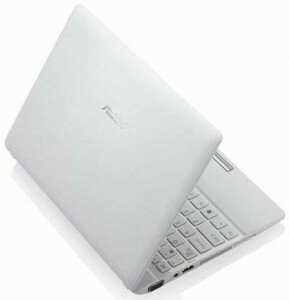 Asus Eee PC X101H Netbook comes with ExpressGate instant-on OS and just because of this operating system you will be able to get ready to access internet, media player, and some other apps without running Windows 7 Starter OS. The battery of it offers you up to five hours of run time. The wireless connectivity is made possible through Wi-Fi. For comfortable video calling and video chatting experience it will bring a 0.3-megapixel webcam for you. Asus Eee PC X101H Netbook is available for Pre-order at Amazon.de and the price tag attached to this netbook is about €229.